It is still dark when Waylon rises. As the first rays of sunlight peer over the hills, he ties his shoes, adjusts his headphones, steps out into the dusky morning. He runs mile after mile, reflecting on life: thinking about his community, thinking about all that he has endured. And as he runs, he grows stronger in mind, body, and spirit. He is a runner, he is a fighter, he is a warrior—he is indigenous. For Waylon Pee Pahona, founder of the group Healthy Active Natives and a Native Hope Fellow, running and other forms of exercise are more than just physical fitness. A Hopi and Tewa/Maricopa who grew up on the Hopi reservation, Waylon was sexually abused at the age of 9, witnessed his father accidentally kill a 3-year-old child at age of 12, and revived his mother from attempted suicide at the age of 16. He left the reservation when he turned 18. At a breaking point in 2007, Waylon attempted to take his own life. Waylon's outlook on life changed when he was diagnosed with post-traumatic stress disorder and running became his therapy. "Some days I would cry tears of joy and other days I would cry tears of sadness, thinking of all the negative things that I had overcome in my life. Crying has become a part of my running and my therapy. It [has] made my mind strong and it [has] made me the person I am today. I realize that I am now a runner and apply it to all of my life’s issues; if I’m feeling well I will run, if I know my family and friends are in pain, I will run and pray for them." The Healthy Active Natives [HANs] movement is about total wellness, the healing and strengthening of mind, body, and spirit through an active and encouraging community. The group has created a place for all Indigenous/Native people to come together in health and wellness, not just physically, but emotionally and spiritually as well. Founded and created by Waylon as a Facebook group in 2012, HANs has grown tremendously over the last five and a half years. The group now has over 75,000 members, and Waylon spends his time traveling and speaking at reservation conferences and events, encouraging Native communities, especially the youth—hearing their stories of struggle and strength. To Waylon, this space of support that empowers indigenous people is important because it helps Native Americans embrace their history, their culture, and their power as a people. This spring, Waylon has taken to the road with the Native Hope Media team. His goal? 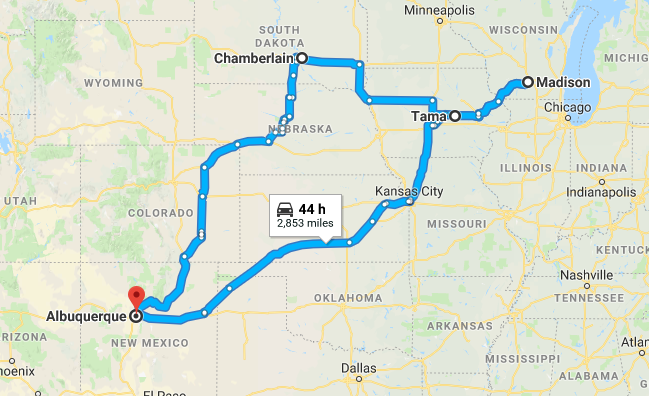 This two-week tour will take him from Albuquerque, New Mexico; to Baraboo, Wisconsin, Chamberlain, South Dakota, and many stops in between. Last weekend, Waylon and the Native Hope team arrived at the Ho-Chunk Nation for a Healthy Natives Fitness Summit organized by Paul Roberts, a friend of Waylon’s, and fellow Native American fitness advocate. MMA fighter, advocate, mother, and Native Hope Fellow, Nikki Lowe, gave a keynote speech and joined Waylon and the Native Hope team for a few days. They were also able to enjoy the 19th Annual Ho-Chunk March Madness tournament while in town. 3/7/18: Waylon, Selim, and Erik visited the Mesquakie Indian Settlement and met the team who runs the Youth Center and sports programs for students from the Mesquakie Settlement School. 3/8/18: On International Women’s Day, Nikki helped with a self-defense class for Ho-Chunk women hosted at the House of Wellness in Baraboo, Wisconsin and shared her story with the community there. 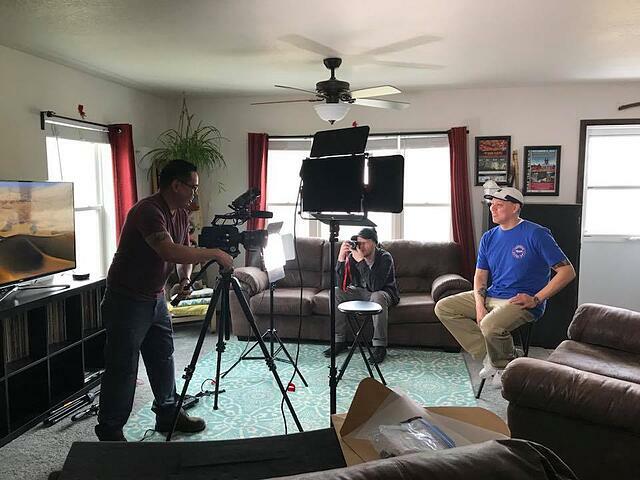 3/10/18: Waylon and the Native Hope Media team headed back to Mesquakie, Iowa, and spent time filming with Dirk Whitebreast of the Mesquakie tribe, a marathon athlete and suicide prevention awareness advocate. 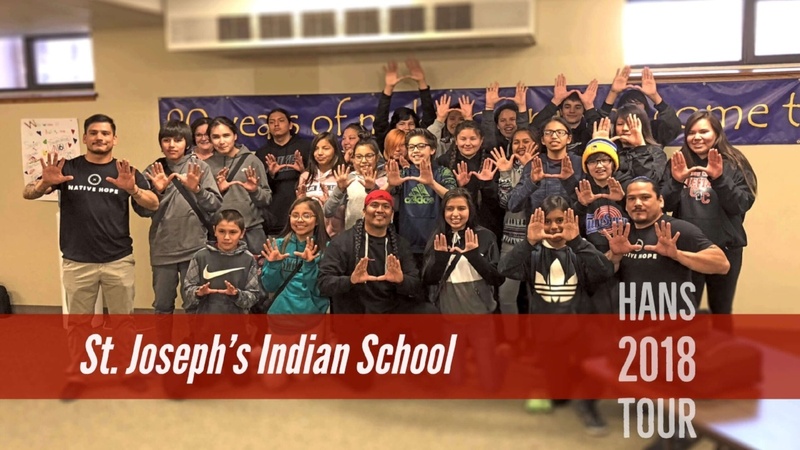 3/12/18: Waylon and crew landed in Chamberlain, South Dakota, and are spending a couple days with the Native Hope team, speaking at the Lower Brule High School, and presenting at the St. Joseph's Indian School to grades 7-12. Check Waylon’s Facebook page for daily updates, live video, photos, and commentary from the road. Native Hope is thrilled to support impactful leaders like Waylon and Nikki as they lift up the next generation through example and fellowship. They are ordinary people doing extraordinary things across Indian Country. Their voices and testimonies are helping Native people re-discover their dignity and warrior strength, transforming a narrative of hopelessness into one of hopefulness. Interested in staying updated on Waylon’s work with Native Hope, the HANs movement, or Native American health and wellness? Subscribe today and stay connected to this community of strong warriors.